Senior Artist Cheyenne shares some insider details. 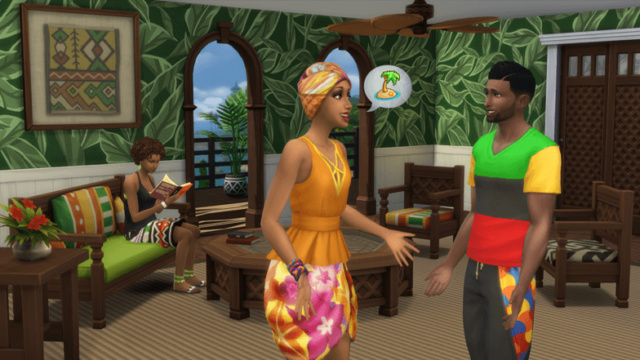 Simmers, we’re so excited to share the latest free update for The Sims^TM^ 4, featuring Caribbean-inspired outfits, home décor, and hairstyles! 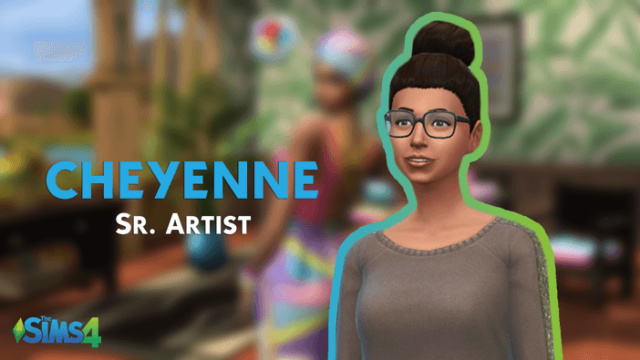 To get some insider info on the development of this update, we spoke to Cheyenne, a Senior Artist on the team. Check out the interview below, and be sure to patch your game ASAP to enjoy some fresh content. Hi, Cheyenne! Tell us a little about what you do on The Sims. I split my time between modeling 3D objects and art direction for features (often clothes and objects, sometimes gameplay). These added features often celebrate holidays. I’ve always been a huge fan of The Sims! The free Base Game update looks great! Tell us what players can expect. Colorful patterns! For Create-A-Sim, there is a good mix between basic items and some more fancy going-out clothes, and they all use patterns to make them unique. The objects have a lot of fun designs and really beautiful wallpaper. We also added two new object types – sliding doors and a fan. What inspired the team to create this update, and from where did you draw inspiration? We wanted something that would give people a taste of island life in a way we haven’t really explored yet. We were inspired by the way cultures and traditions can come together in the Caribbean in beautiful ways. For the men’s suit specifically, it was fun to think about what would make a suit unique for hotter weather and combining that with colors and patterns that complement other clothes in the update. What was the biggest challenge for you and the team? What about the biggest victory? One of our biggest challenges was figuring out how to balance the clothing items and furniture so it was fun and colorful, but wouldn’t overpower the room. This challenge ties into our biggest victory. We were able to balance the amount of pattern in different areas of the assets, and also create some solids. Many items can be mixed and matched (with themselves and existing assets) so players can have as much pattern as they want. How would you decorate a Caribbean-inspired home? I’d build a lot of windows and glass doors to connect the home to nature, hopefully with a view of the ocean. I’d add some greenery inside, too! We hope you’re inspired by the Caribbean update and Cheyenne’s behind-the-scenes insight! Now it’s your turn to get creative and give your Sims some island style. 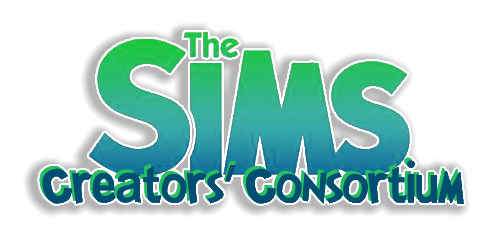 Check out The Sims 4 Forums, follow us on Twitter and Instagram, like us on Facebook, and subscribe to our YouTube channel for all of the latest. Sign up for The Sims 4 newsletter to get updates, exclusive offers, and more (including other EA news, products, events, and promotions) by email and get Grim's Goulish Guitar for free!